All Garage Door Repair Burbank is a reputed garage door repair services in California and we can assure you that if you hire us-you will get your money’s worth! At All Garage Door Repair Burbank, we offer a number of valuable and helpful services to our customers. We install new garage door, electronic keypads, garage door locks and even offer gate repair and installation services. 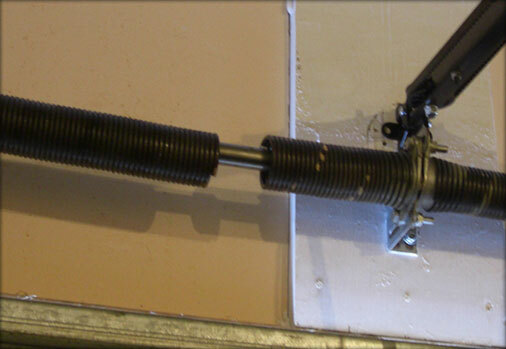 In addition, we also offer a number of useful garage door repair services including garage door spring repair and garage door panel replacement. 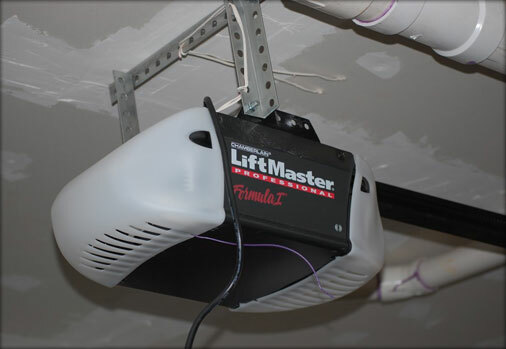 Garage Door Opener Repair Burbank - At All Garage Door Repair, we offer round the clock garage door opener repair service. We provide top-of-the-line services at extremely economical rates and our technicians are amongst the best in the state. Whatever problem you may be experiencing with regard to your garage door- we have all the necessary equipment, techniques and skills to deal with it effectively and efficiently. 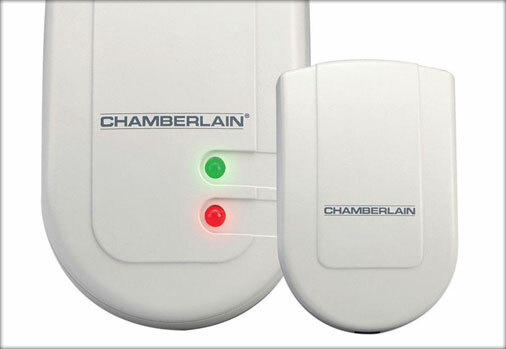 Garage Door Sensor Repair Burbank - Almost all garage doors make use of safety sensors which are generally mounted along the garage door track. These sensors can tell when any object, human being or animal gets between them and they keep the door open to avoid entrapment. Many times, these sensors get extremely dirty, damaged or simply break; and if not repaired immediately, they can become quite a safety issue. Hence, we offer quality garage door sensor repair and since we’re a local firm can get the repairs done as soon as you would like. Roll Up Garage Door Repair Burbank - Roll up garage door require quite a bit of routine maintenance and that is not easy to take care of by yourself. We’re here to make it easier and hence, we provide basic touch-up services like tension tightening, oil replacement, fine tuning and comprehensive inspection checkups. We also upgrade your current systems by replacing certain damaged or worn out parts with longer lasting, more durable parts. Our team also takes care of dented roll up door, damaged tracks ad broken springs. 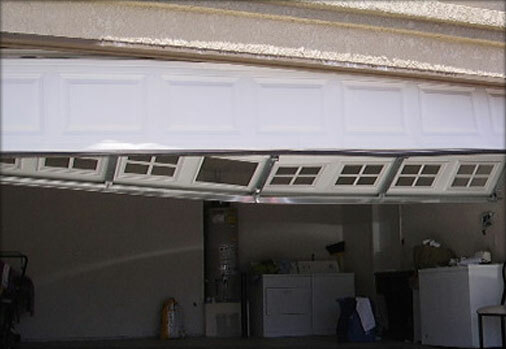 Our roll up garage door repair is one of the most highly demanded in Burbank, California. 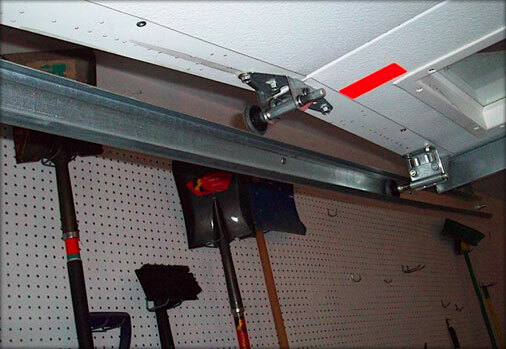 Garage Door Track Repair Burbank - Accidents do happen, all the time, and it’s quite possible that you somehow banged your garage door track leaving it all bent and out of shape. If you observe that your garage door is not opening properly and the system seems to be malfunctioning, you need to call for professional help as soon as possible because if you continue to use the garage door even when the opening system is clearly malfunctioning, it could lead to a damaged garage door track. Our technicians are very experienced when it comes to garage door track repair and will get your garage door track back into working condition within a short period of time. Dented Panel Repair Burbank - Garage door can get dented pretty easily especially if yours is made out of steel or aluminum. But there’s no need to worry! If your garage door has become badly dented and is ruining the aesthetic appeal of your garage, just give us a call. Our experienced repair crew will be only too glad to help you out and we guarantee we can make your garage door look as good as new again! Our team is also specialized in garage door panel replacement. 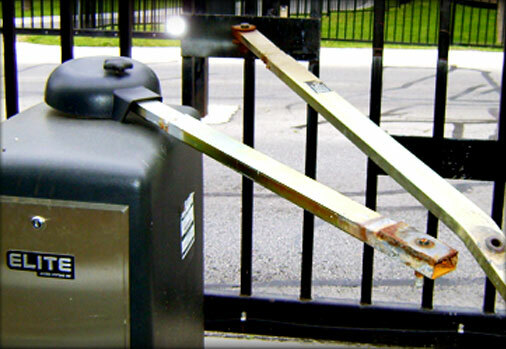 Gate Repair Burbank - Our professional technicians are very capable of installing and repairing all types of gates including automatic/electric gates and rolling gates. We offer premium quality gate repair services in Burbank and since we are a local firm, you can count on us to be there in a jiffy! Commercial Garage Door Repair Burbank - No business person wants to be saddled with defective machinery or equipment which will just lower the image of his firm. The best way to ensure that you don’t have to deal with emergency repairs is preventive maintenance. We, at All Garage Door Repair Burbank have been servicing garage door for over 15 years and hence we are fully equipped to repair/install all sorts of garage door and their components. Opt for our commercial garage door repair service today for best results. Our technical team at All Garage Door Repair is excellent at installing, repairing and replacing garage door locks, electronic keypads and garage door remotes. You can choose from a wide range of fancy garage door locks and affordable electronic keypads with top-notch protective security features. We have many years of experience and hence we can repair or install almost any type of lock or keypad that you have. Our expert repair personnel at All Garage Door Repair Burbank are highly experienced and have the expertise to fix garage door components by all leading brands. Our garage door repair crew is fully licensed, certified, bonded, insured and carries all necessary accreditations. At All Garage Door Repair Burbank, we believe in making sure that our customers are satisfied with the services that we provide. Our aim is to offer superior quality services at affordable prices. Whether you need us to install a new set of garage door or a gate at your residence or office, we can take care of it easily and speedily. Our employees are extremely approachable yet professional and will do the job without creating any problems for you. We are all completely certified, licensed, insured and bonded. Our team at All Garage Door Repair follows a strict ethical code of conduct. We offer round the clock service and all of our customers love the fact that we take only 45 minutes to reach their address and get started on the repair or installation work. At All Garage Door Repair Burbank, we ensure that all our technicians are familiar with the most popular garage door systems currently available in the market. Our team of professionals is very experienced in dealing with broken garage door springs, dented panels, broken cables, loose hinges, faulty garage door sensors and so many other common garage door repair issues. We believe, first and foremost, in making our services convenient and accessible to our customers. We don’t want you to have any regrets. Instead, we would like to see you coming back to us for all your garage repair related issues. At All Garage Door Repair Burbank, we have a fascinatingly beautiful range of garage door styles to choose from. We will really spoil you for choice! You could opt for modern and practical garage door made from steel and aluminum or you could really go all out and splurge on beautifully textured wood paneled garage door. The choice is yours to make. But, with an extensive range to choose from, it can often get extremely difficult to select just one style. That’s where we come in. Our team of talented technicians who have over 15 years of experience dealing with garage door of all kinds can help you to make the right choice. So, no worries! All Garage Door Repair offers a lowest price guarantee and we assure you that you will definitely not be able to find quality garage door repair/installation services anywhere else for such economical prices. We are best known in Burbank for our 24x7 emergency garage door repair and installation services. So, the next time your garage door start giving trouble - you know who to call! Just give us a ring on (818) 296-4188 and a friendly All Garage Door Repair personnel with address your call!